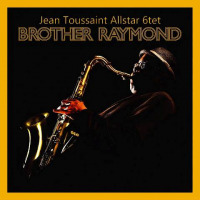 bebop spoken here: CD Review: Jean Toussaint Allstar 6tet - Brother Raymond. The band here comprises, in the main, Toussaint on tenor, Wallen on trumpet, Rollins on trombone and Casimer on bass with the piano, bass and drum stools shared amongst those listed above. The eleven tracks are all compositions by Toussaint, each with meaningful titles. For example: Amabo is Obama spelled backward and is dedicated to the former President. In Latin it translates as "I shall love". Whether Toussaint will compose a piece entitled Pmurt remains to be seen. Wallen and Rollins are both kickass players, they don't take prisoners and keep Jean on his toes. An absolute wiz of a frontline driven along by Miller or Forbes or Mondesir with Casimir providing the pulse (Alec Dankworth on 1 of the tracks) and the three piano players soloing and supporting as men to the manner born. Perez adds effective Latin touches making this an album nothing short of brilliant. Tom Harrison, who handles Jean Toussaint's bookings, also blows some impressive alto on one track. Apart from playing, Toussaint is also a jazz educator at Birmingham Conservatoire. There won't be many, if any, better instrumentals, this year. Released May 18 on LYTE Records, launched at Ronnie's on June 4. The 6tet tour later in the year but don't get past Leeds on November 15 and York November 18.